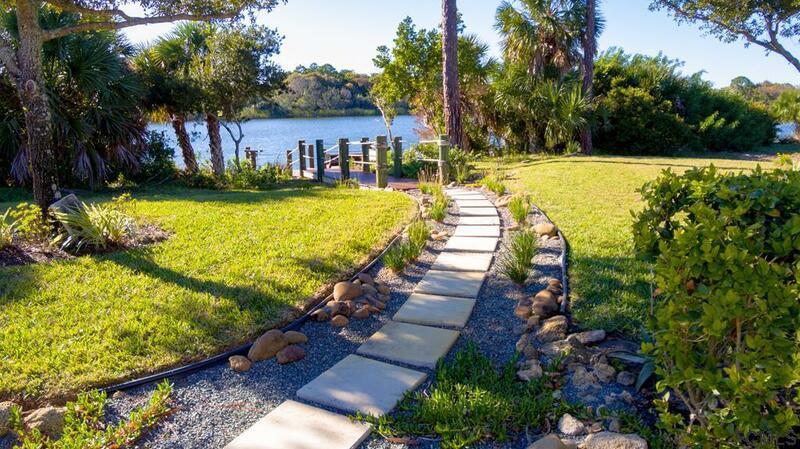 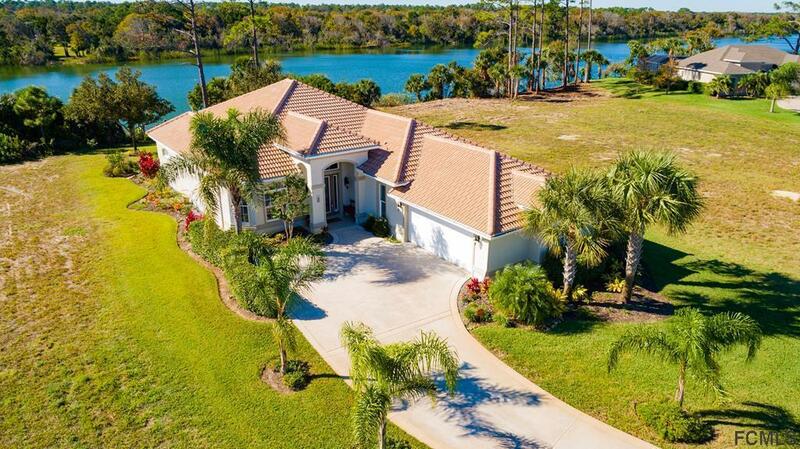 This Wonderful Freshly Updated Lakefront Home is ready to move in! 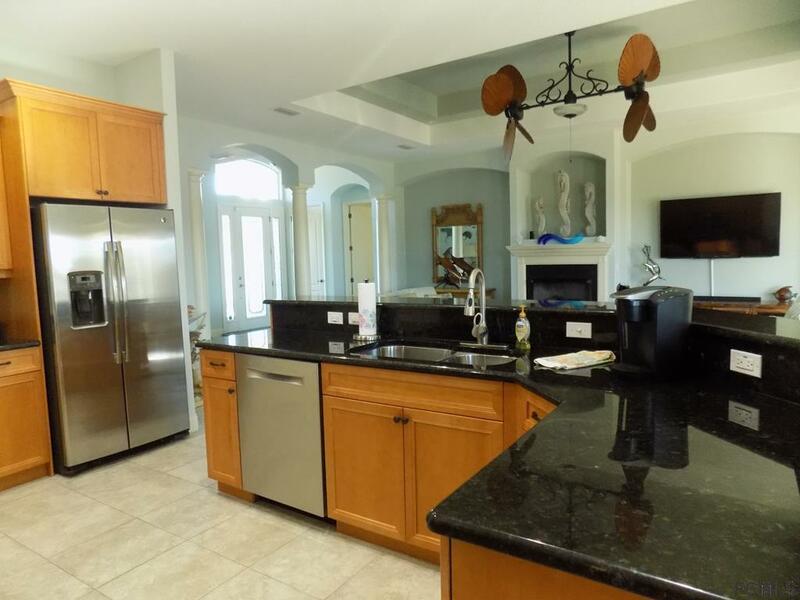 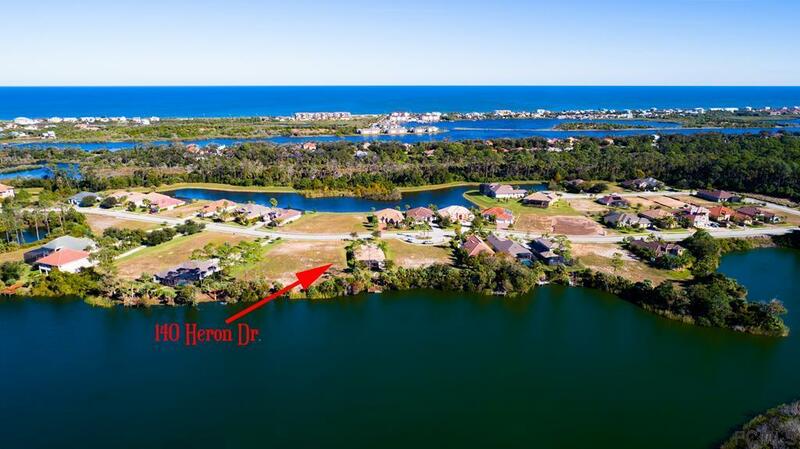 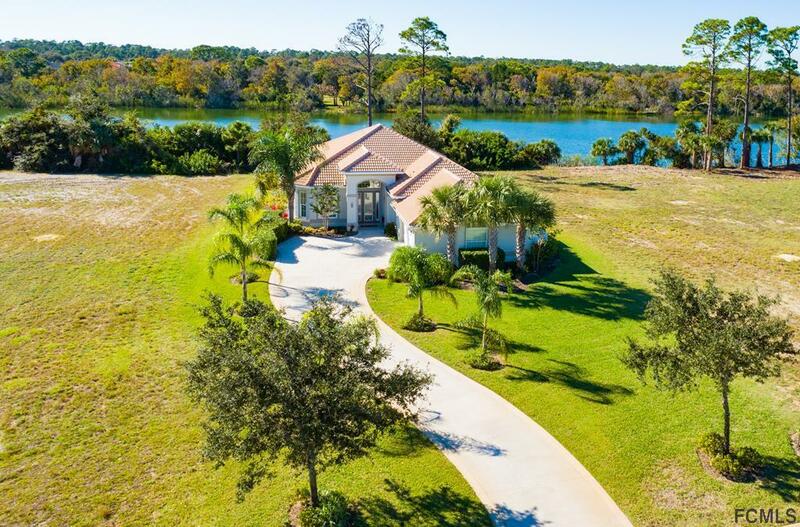 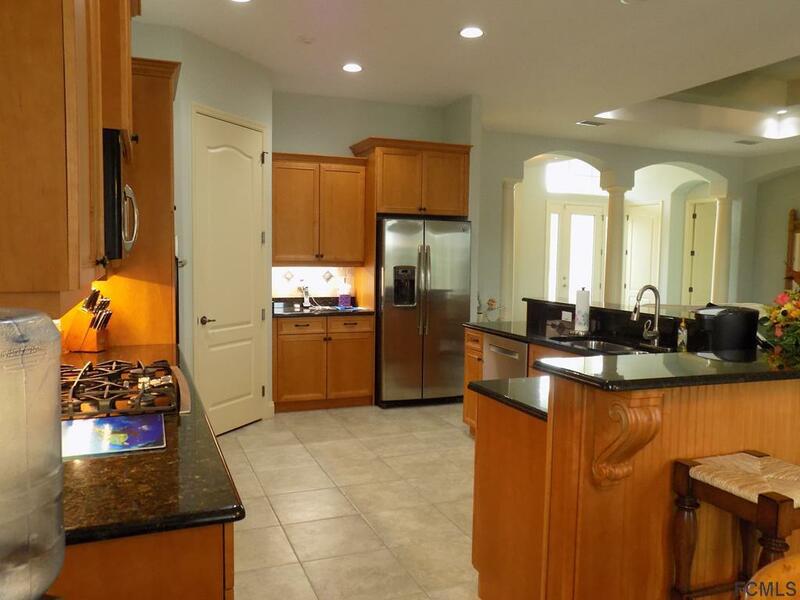 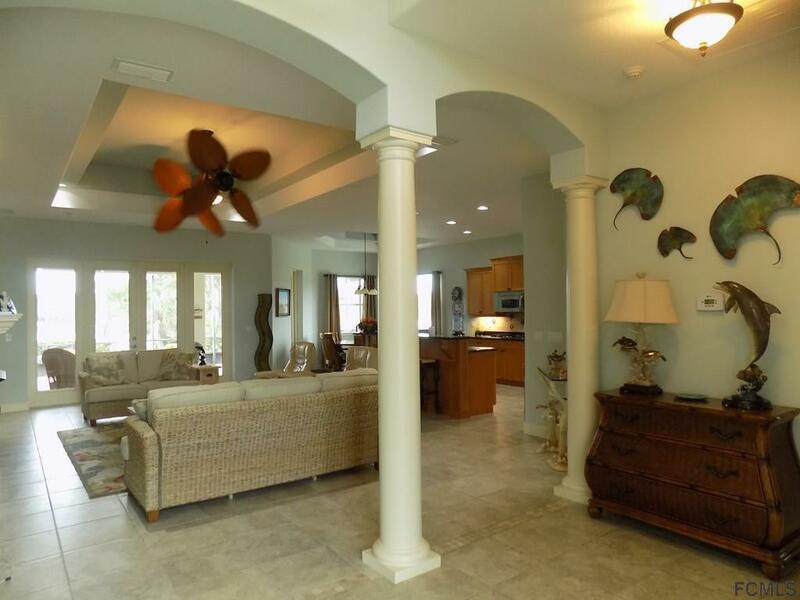 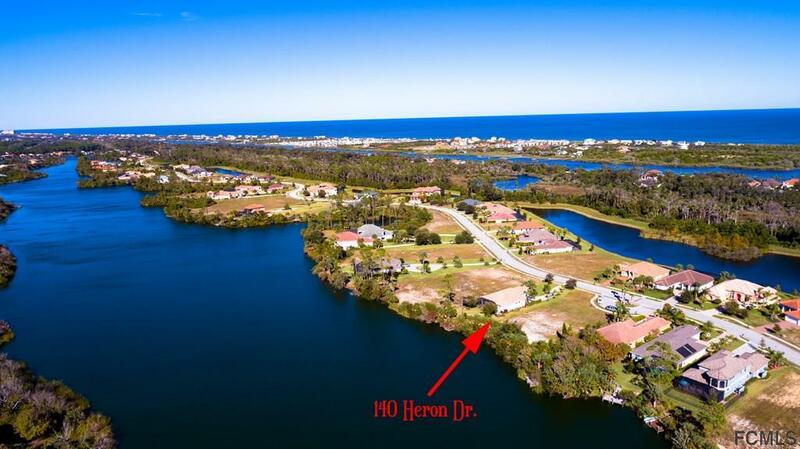 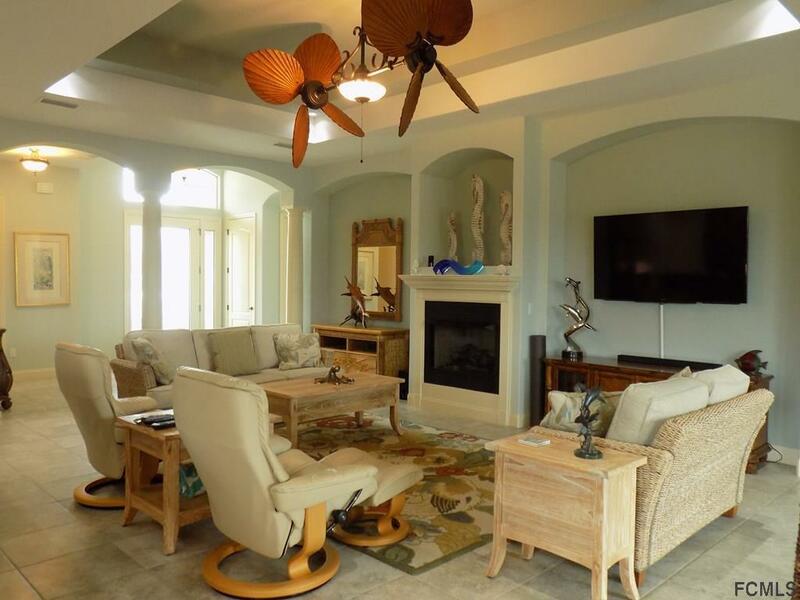 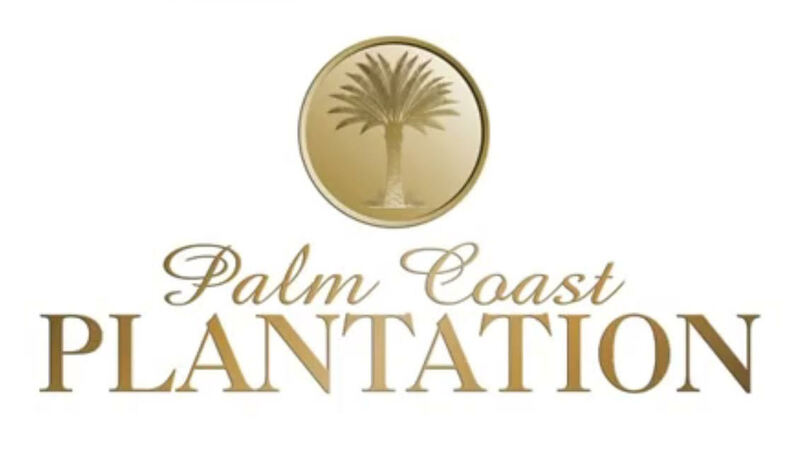 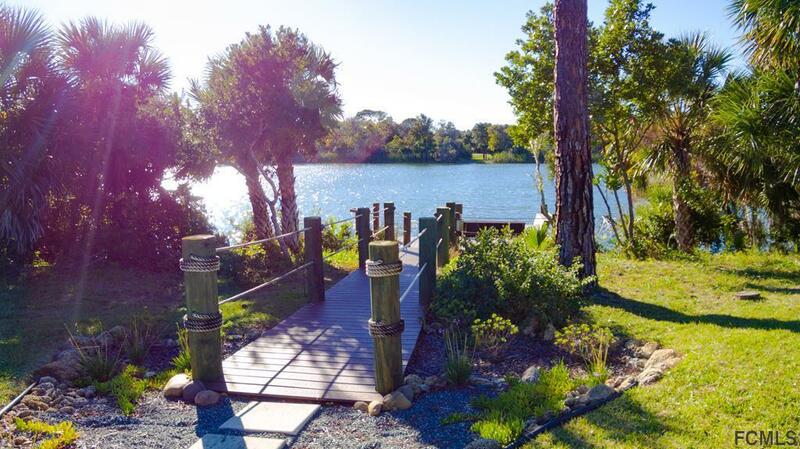 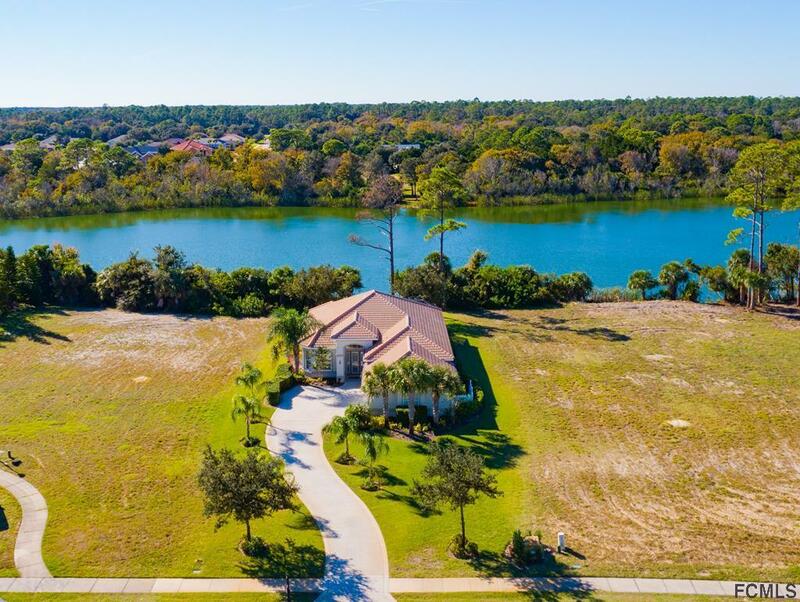 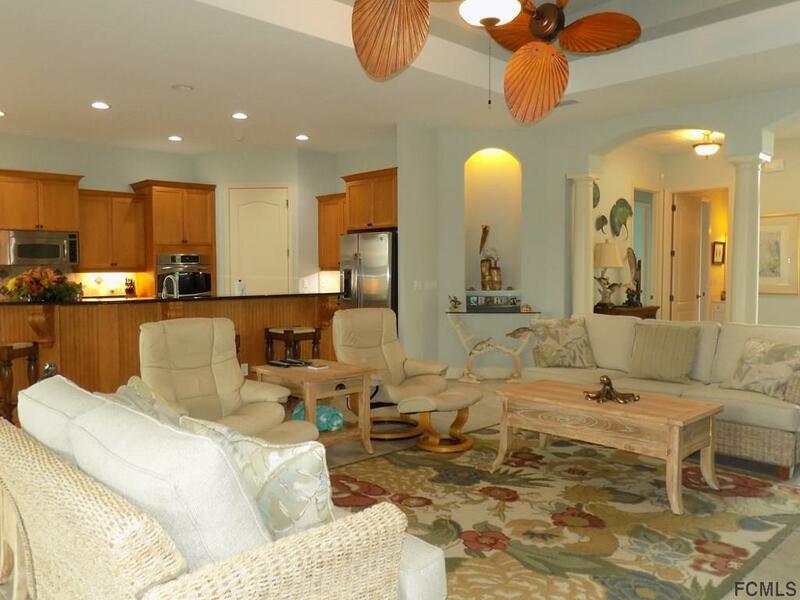 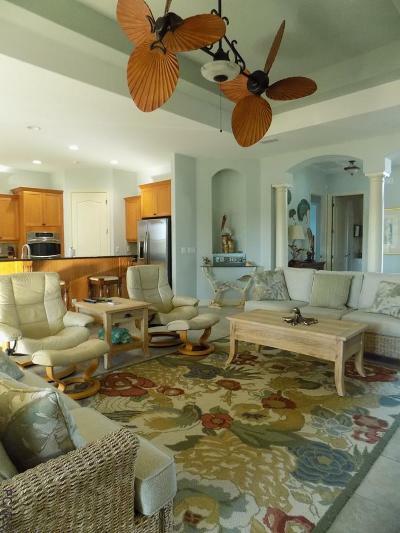 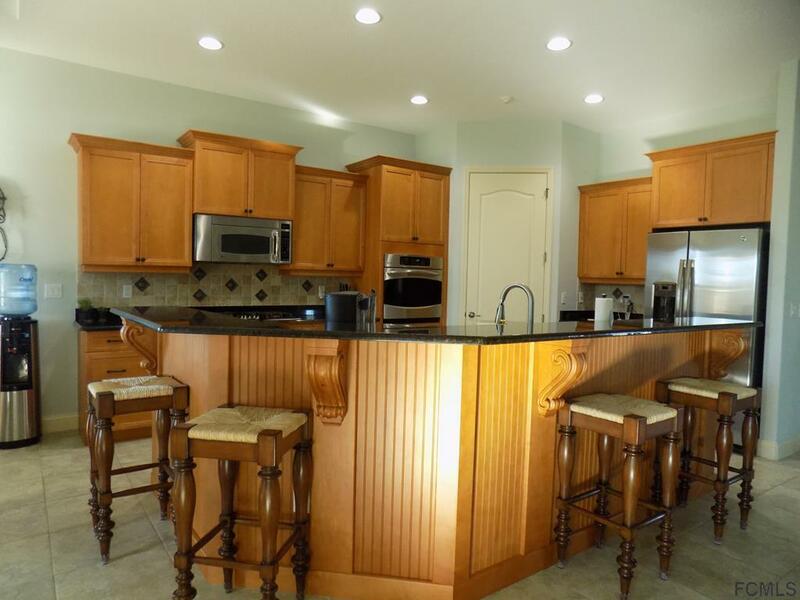 Located in prestigious Palm Coast Plantation, home and community offer everything! Open floorplan with 4 bedrooms, one which would make a great office! 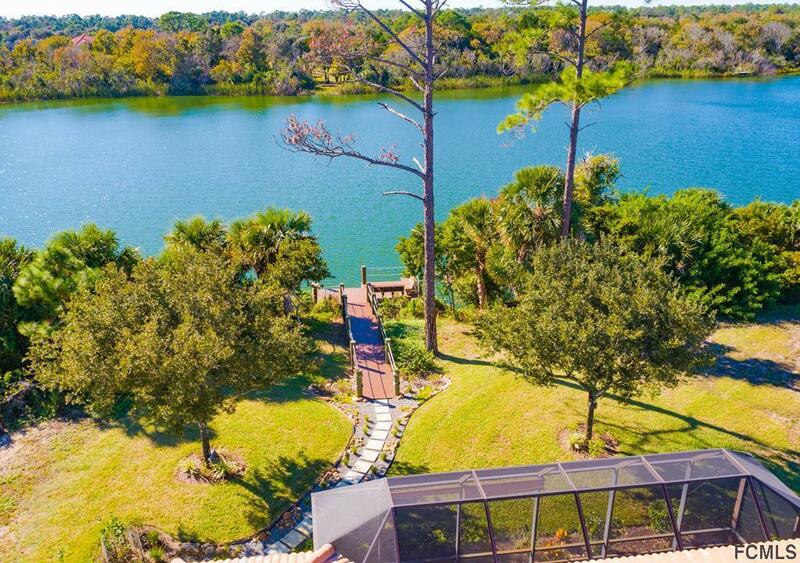 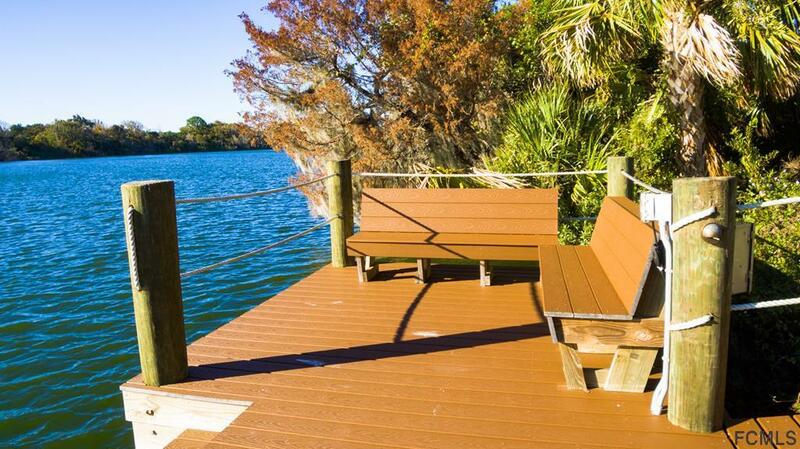 Located on Lake Emerald, this home has Great Lake views and it's own new composite dock which is maintenance free. 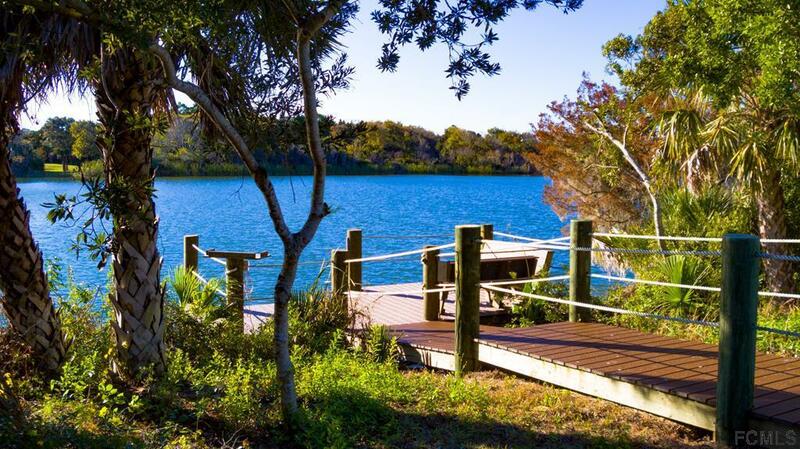 Great fishing lake, keep your boat at your dock. 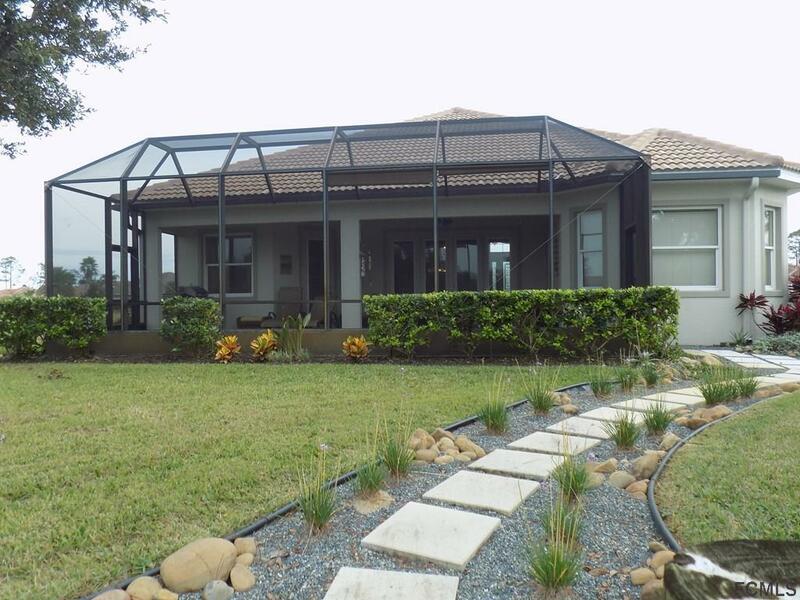 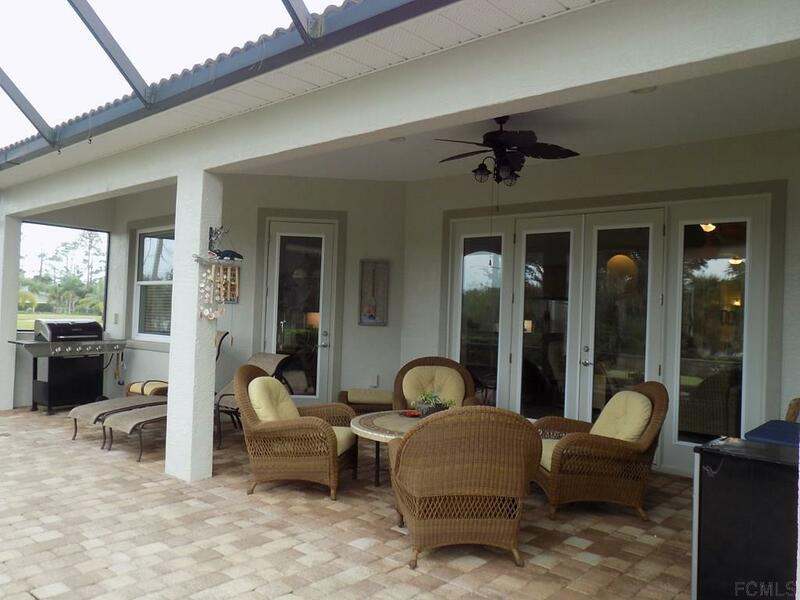 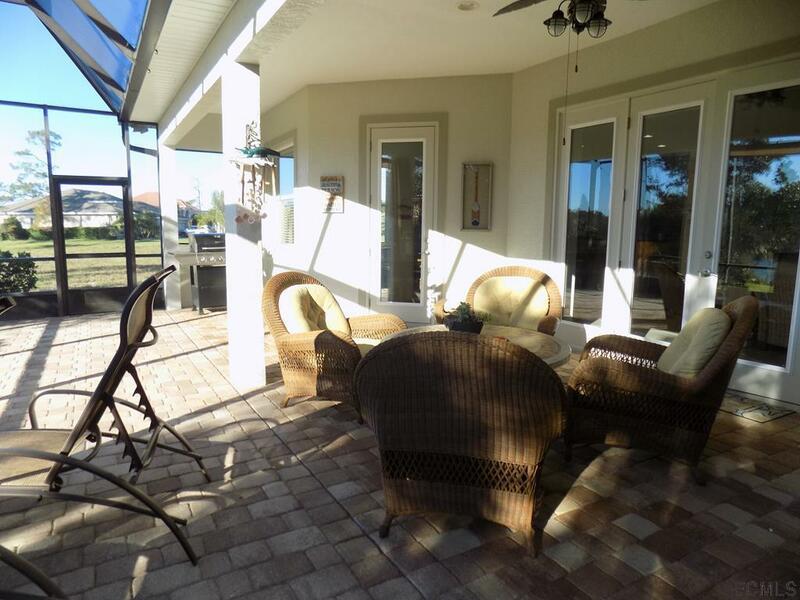 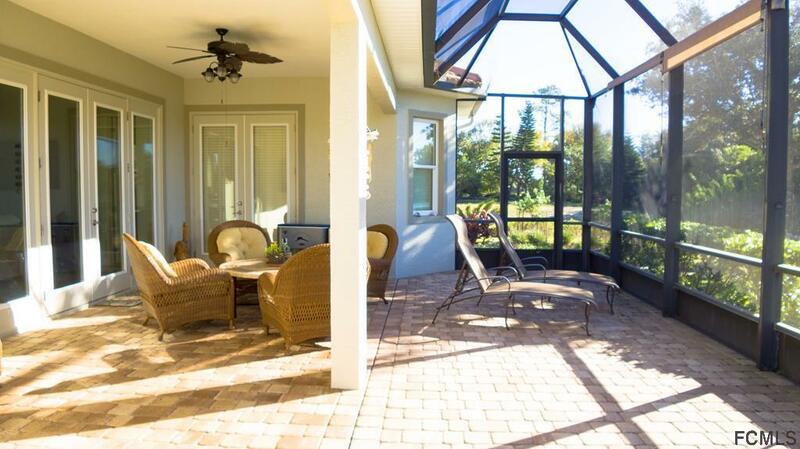 Large, screened lanai offers outdoor living at it's finest. 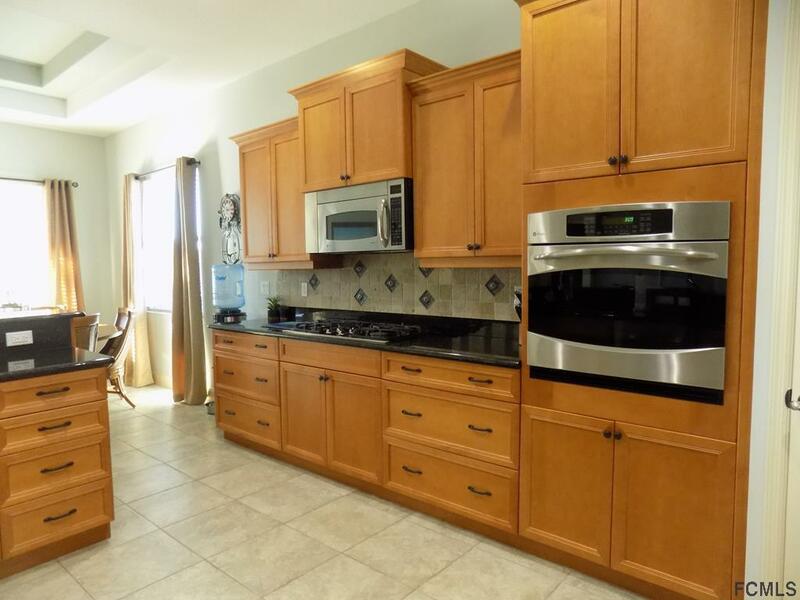 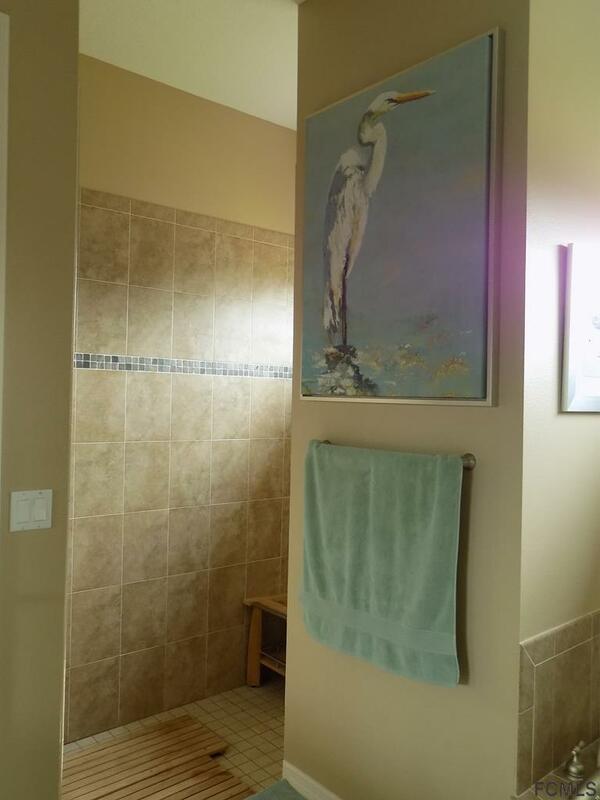 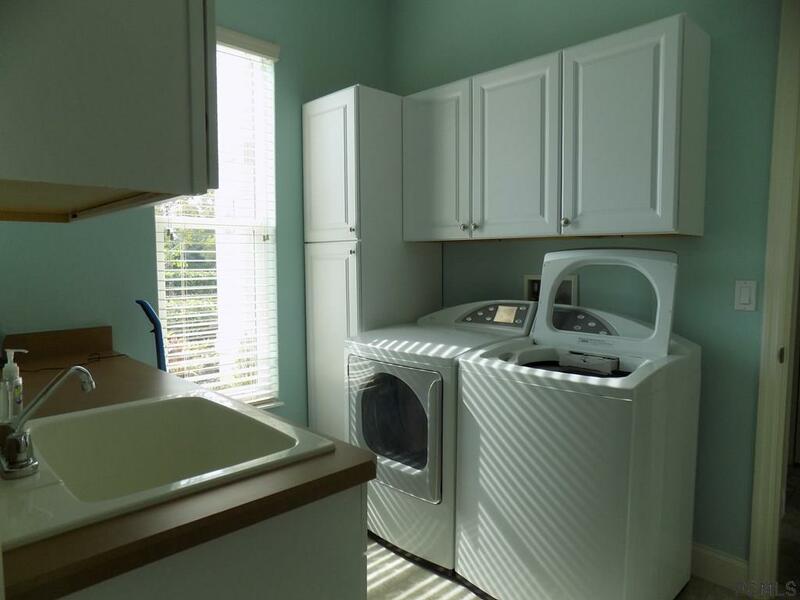 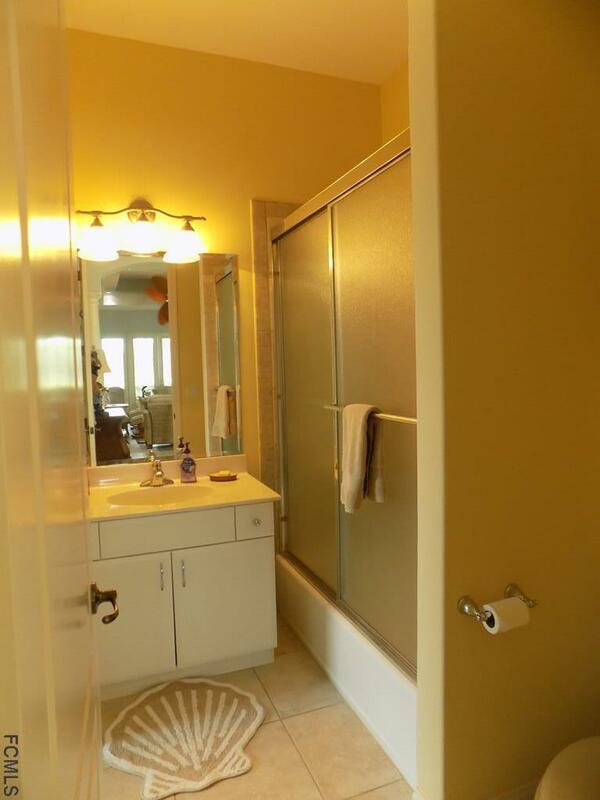 Upgraded throughout, large kitchen with dining room has new appliances, gas stove, and large pantry. 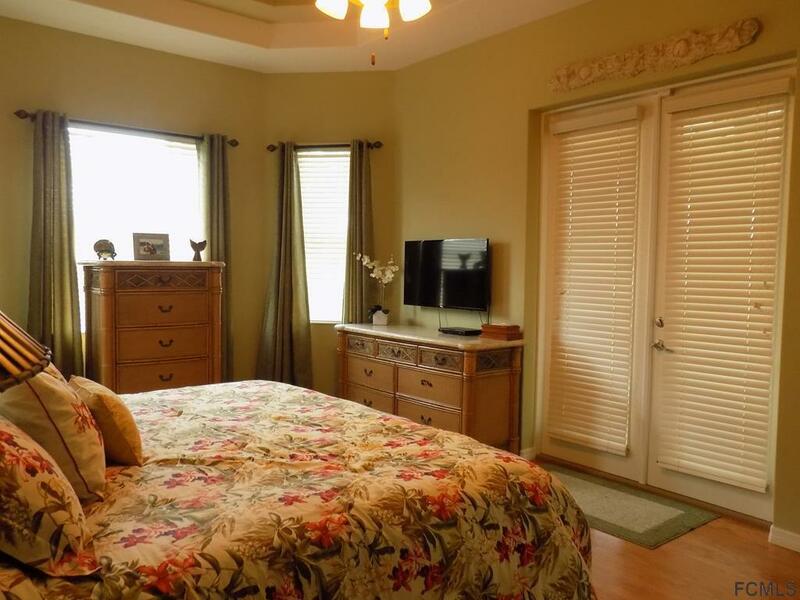 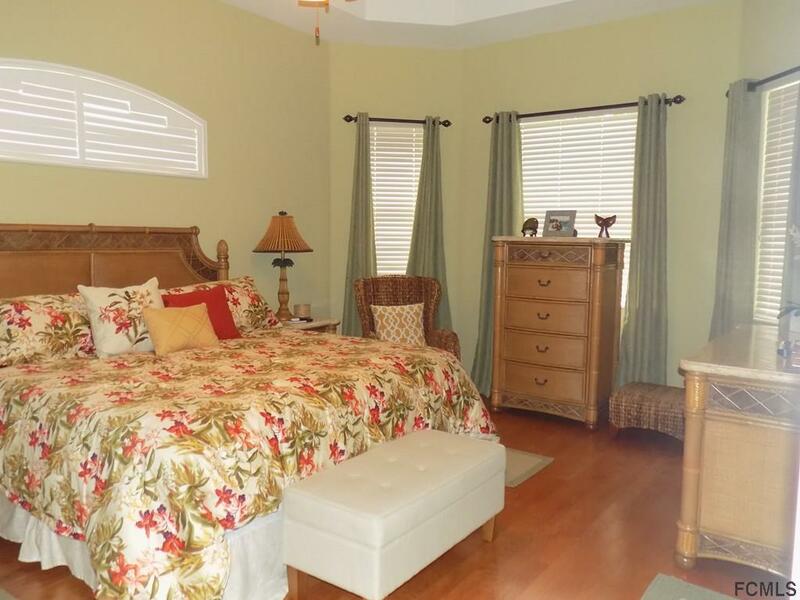 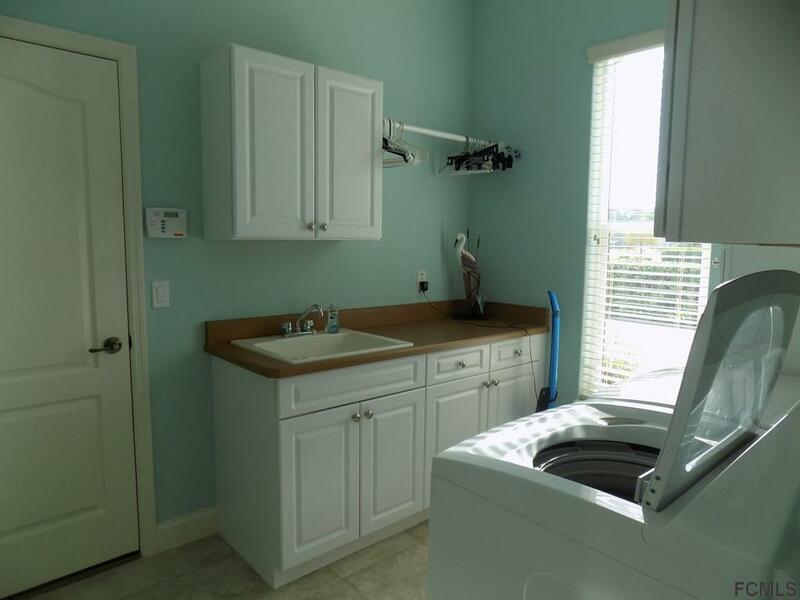 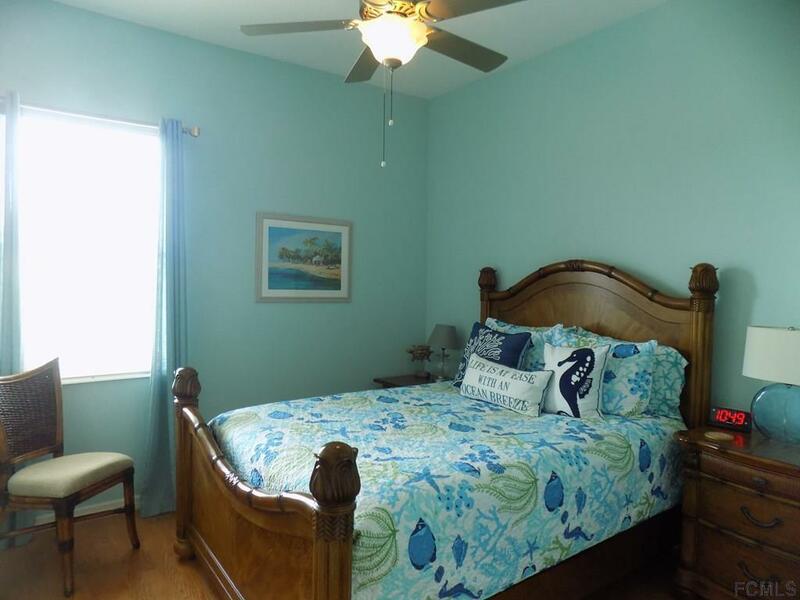 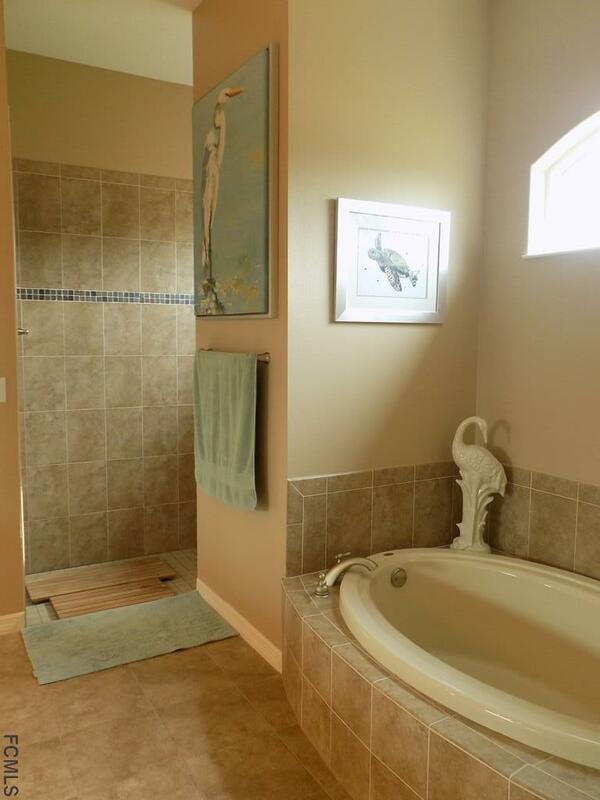 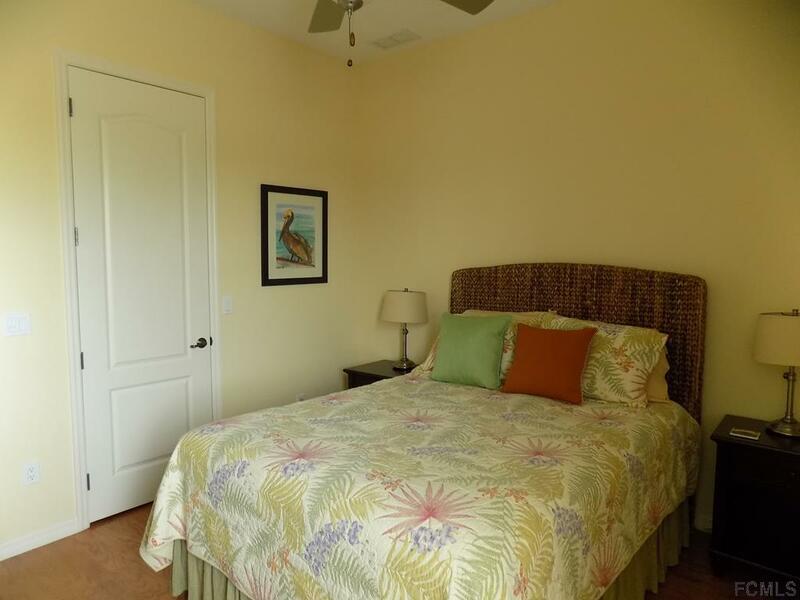 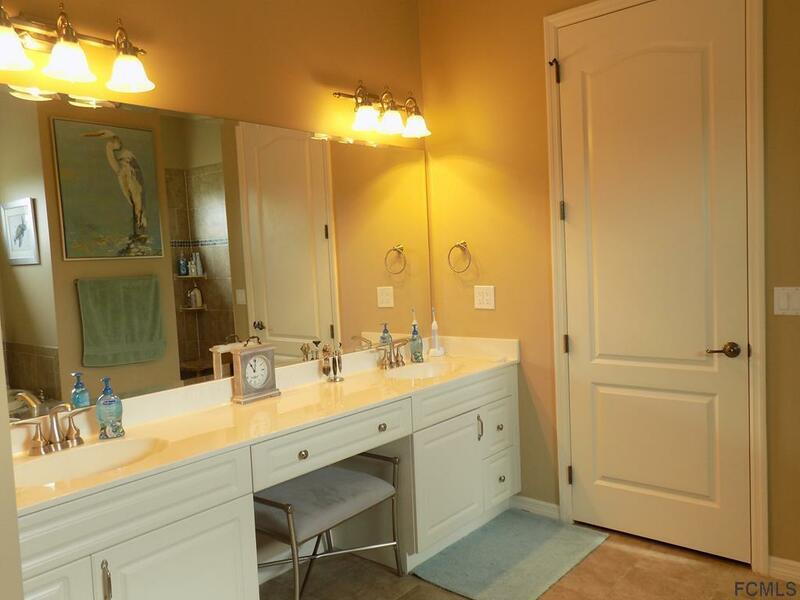 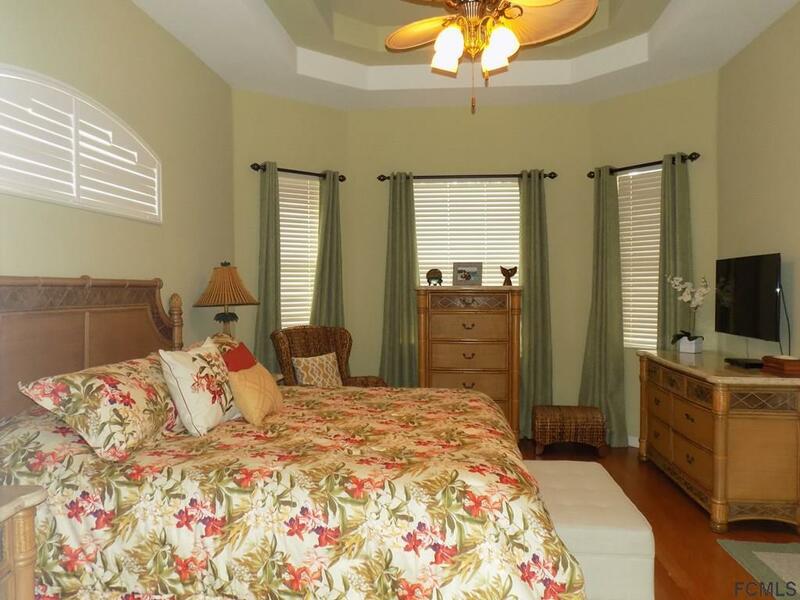 Master suite has door to the screened porch, large master bath with separate tile shower and tub, and 2 walk-in closets. 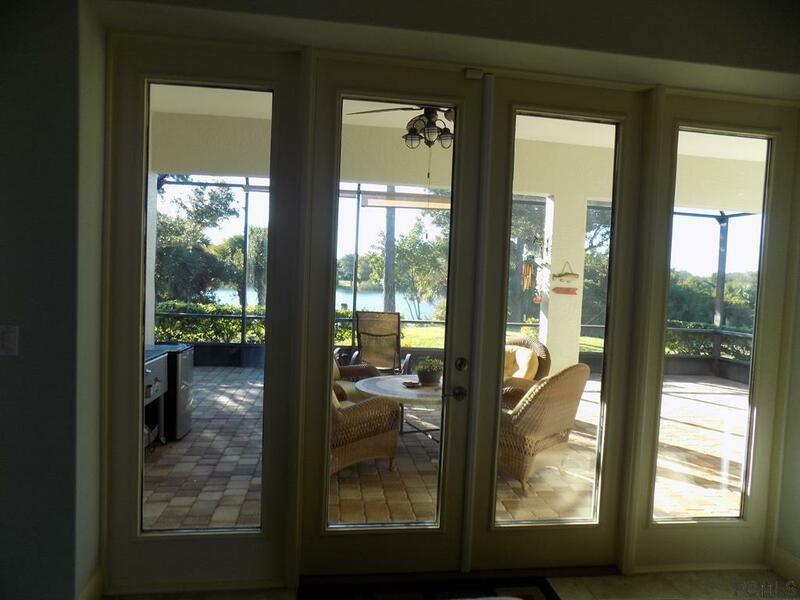 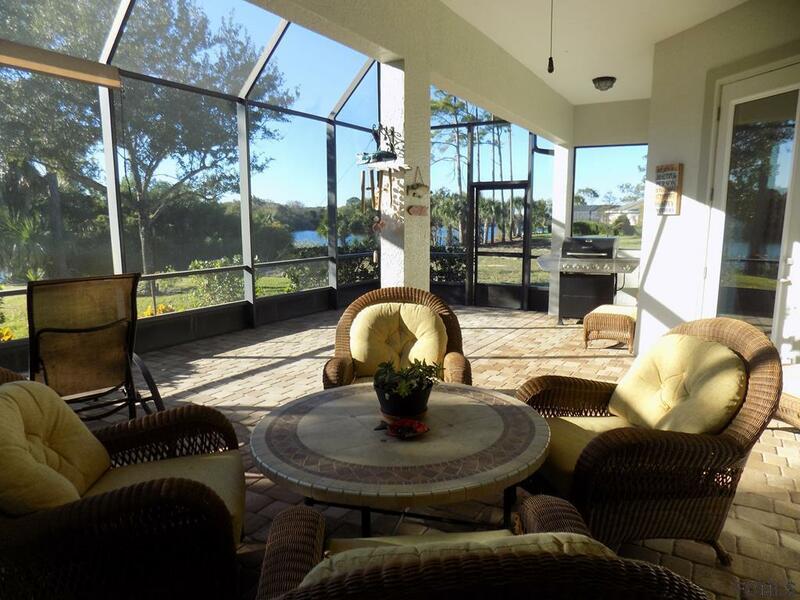 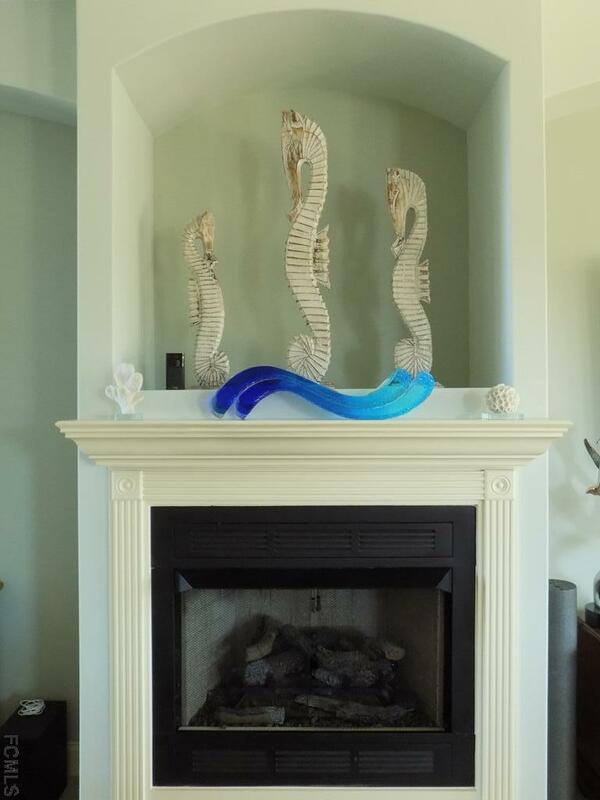 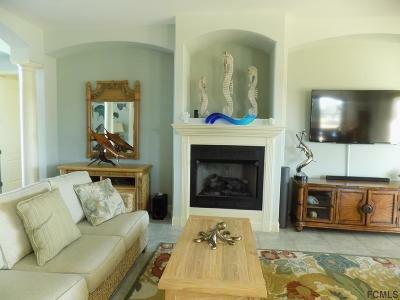 Large great room has fireplace, new fan and light fixture, and great views of the lake. 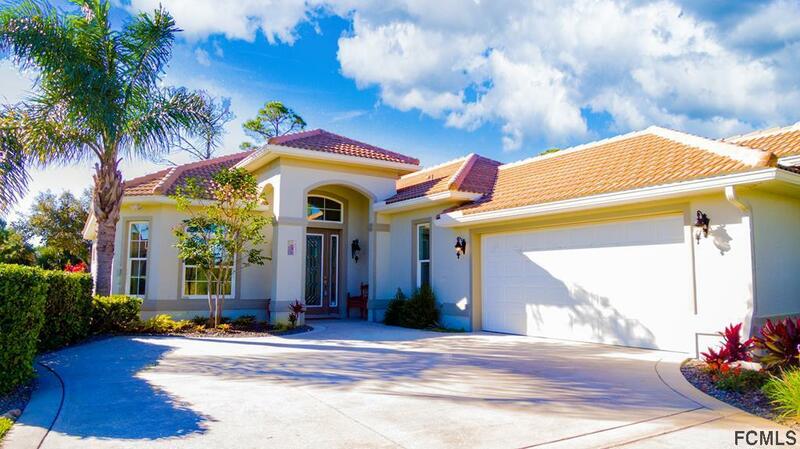 2 car, oversized garage with rear door, whole house generator, instant water system, and sprinkler system. 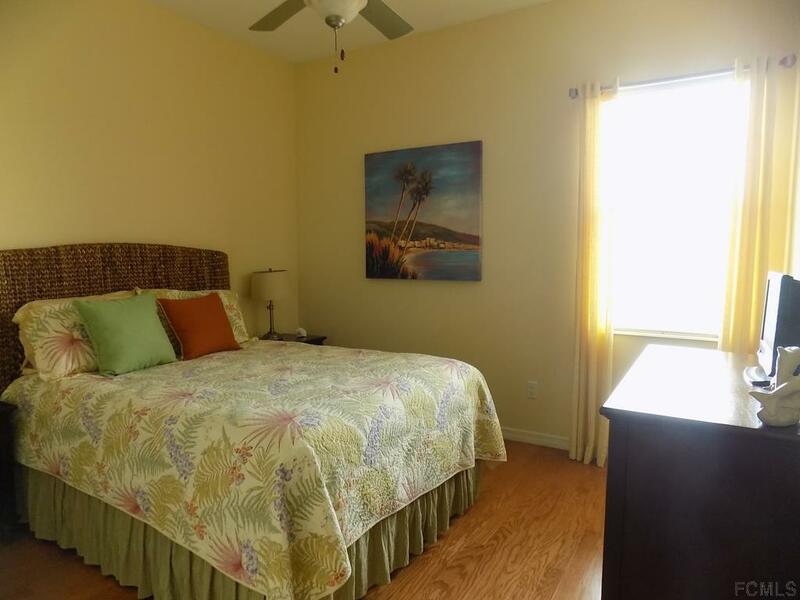 Enjoy the community pool, fitness center, club house, tennis, bocce ball, basketball court and children pool and play area.